The German Government has bowed to industry pressure and decided to ease the tax burden faced by energy intensive and high-emissions companies, instead opting to hike taxes on tobacco products. On October 24th Germany’s government coalition agreed to revise its planned taxation measures on fuels and energy, easing the tax burdens faced by the energy industry. To offset the budgetary shortfalls, the move will be paired with an tax rate increase on cigarettes and tobacco products. Michael Fuchs, aleader in the Germany’s ruling Christian Democratic Union (CDU), claimed that the move was necessary to retain employment levels in the country’s energy industry and maintain energy prices for consumers, ultimately leading to benefits in the national economy. However, the opposition Green Party has already stated that these tax moves are another example of Angela Merkel’s Government excessively bowing to the demands of industry lobby groups, and transfering tax burdens away from large companies and onto individual tax payers. The German Government had previously intended to significantly lower the tax subsidies received by national energy-intensive projects. It was originally estimated that the move would result in as much as EUR 2 billion in extra tax revenues for the Government over 2011 and 2012. However under the newly revised plans, the estimate has been downgraded to EUR 700 million over the two years. In an effort to counterbalance the new budgetary shortfall, tobacco taxes will be increased by up to 10 cents per year for the next five years, potentially raising EUR 1 billion by 2015. 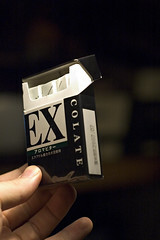 After the tax revision announcement, Rainer Bruederle, Economic Minister of Germany, issued assurances that the tax relief for energy companies and tax hike on tobacco will occur simultaneously, stressing that the two measures will be adopted together, so as to maintain a healthy balance in the budget. The tax moves will still need to be approved by the German parliament before being implemented. According to statements issued by CDU, if approved, the move would allow the Government to instate national tax relief measures of nearly EUR 500 million in 2012.